This nice game is a really fun slingshot type shooting game where the object is simple. 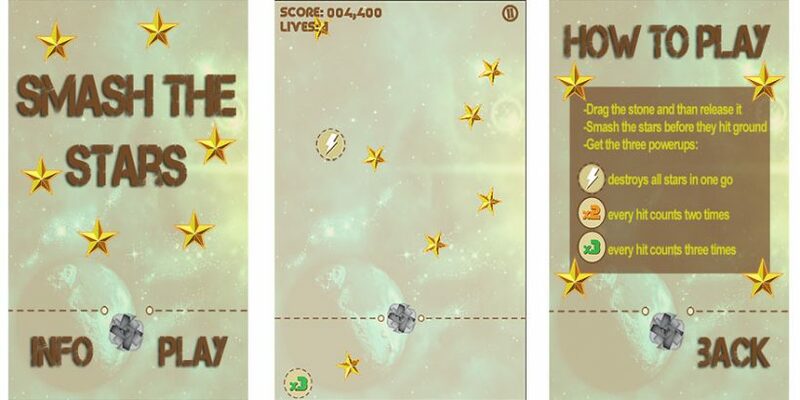 Smash as many stars as you can and don’t let them hit the ground to save your 3 lives! You have to drag the stone and than release it to smash the stars. The more stars you hit the faster new ones comes up – so you have to hurry!